All Emirates require a separate license to practice medicine. A separate license by Harvard International is issued for the Dubai Health Care City (DHCC), a free Zone with the Government of Dubai as your sponsor. This license allows to set up a practice strictly within the DHCC. Provisional License: Specialist Under Supervision : those who do not meet the requirements for full license. They must work under supervision of a Specialist/Consultant from the same specialty. In order to obtain the professional license, healthcare professionals are required to pass the DHA assessment which can be either: Computer Based Testing or Oral assessment. General practitioners from the UK who have successfully completed the United Kingdom Professional and Linguistic Assessment Board Test Part II (PLAB II) are exempted from the DHA Assessment. The applicant will be required to follow several steps which are extremely rigorous and difficult unless you’re very familiar with the process. We strongly recommend you apply with an specialist agent such as Allocation Assist who can be contacted through our site. Upload labour card, insurance and make the fourth payment. It is required to obtain a licensure prior to practicing in any healthcare facility within the Emirate of Abu Dhabi. Through this website you can submit the application process attaching the required documents and issuing the corresponding payments to be able to take the examination and obtain the license. 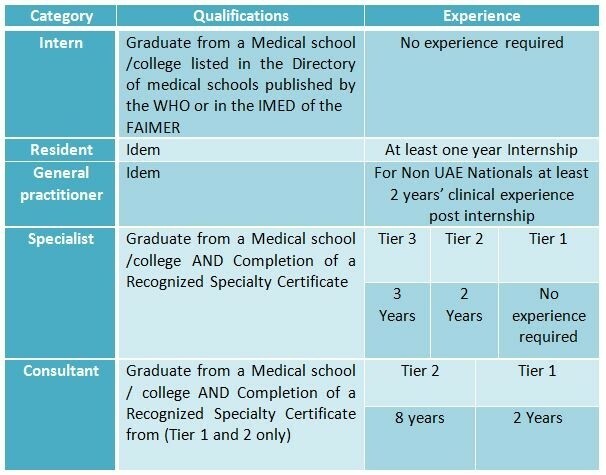 Doctors from the UK are required to obtain the same certificates as in Dubai. The experience validity and the continuity of practice in terms of good standing certification from licensing authorities. To check requirements, fees, document required and information about the exam check this guide provided by the MOH website. 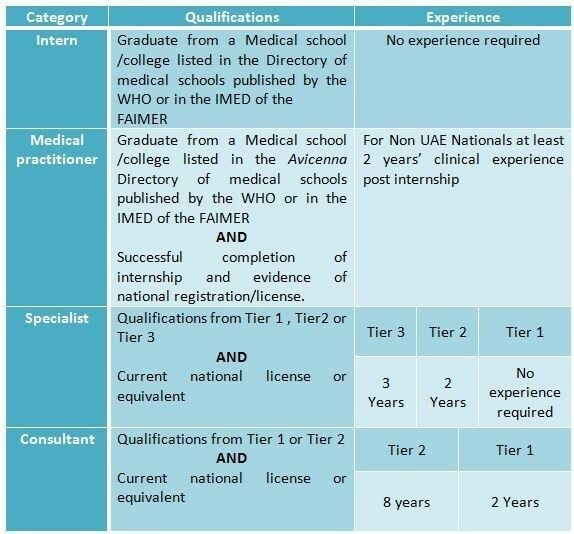 Still interested in working in the UAE? Express your interest here.